Macro Trading Forex entails to look for patterns in the vast fundamental economic releases, and position yourself for underlying moves in interrelated financial markets. Macro Trading focuses on finding long-term trades that an avid speculator can hold for several weeks, months, and yes, in some cases even years. Macro speculator attempts to use economic and political developments to justify the placing of the trades. There are many potential global macro factors that can cause markets to move in one direction for lengthy periods of time. Here are just some of these examples; Inflation, Global Growth, Recession, Interest rate differentials, Natural Disasters, Financial Crisis, Political Unrest and etc. Simply put, Macro Trading is when a person aims to profit from using widely available economic information such as GDP, Inflation, Unemployment, Growth. 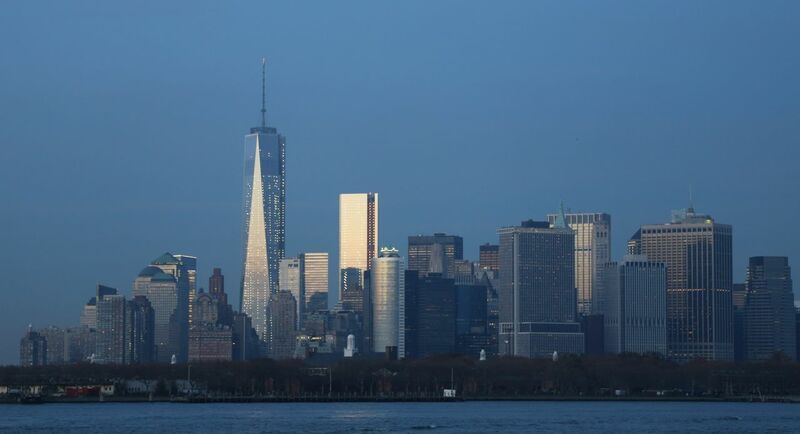 Since the majority of economic reports are full of confusing data, full of noise, so to speak, Macro Traders are forced to look for bigger clues. Macro speculators have to understand and foresee the actions of big players like Central Banks, Governments, the World Trade Organization and OPEC. These players have the means and resources to directly influence the markets. The influences can range from Monetary policy actions such as, raising or lowering interest rates and to Fiscal policies such as, reducing government spending and budgeting or reducing the supply of a particular commodity. Big players are driven by economic, political, as well as social factors. 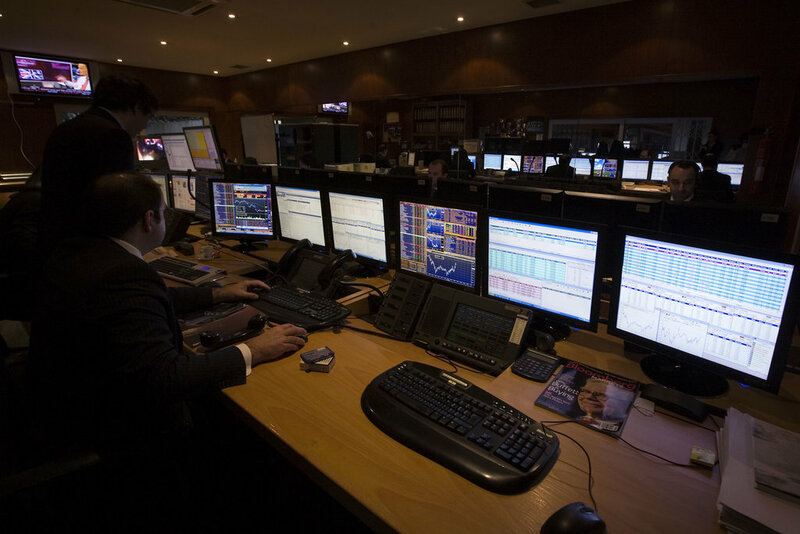 It is also a fact that Macro Trading strategies are widely used by Hedge Funds. This type of trading is the main driving force behind a hedge fund’s ability to deliver profits for his investors. In general, macro strategies focus on financial instruments which are diverse in scope and are impacted by a systematic rather than systemic risk. Systematic risk, also known as “undiversifiable risk” is not a security, or an event specific. Essentially, portfolio managers who trade within the global macro framework focus on interest rate differential strategies, currency, commodity and stock index strategies. A currency pair is quoted as a relative value of one currency to another, hence the pair fluctuates based on a number of factors. Large currency speculators observe global economic, fiscal and monetary policies as well as the changes between one country’s short-term interest rates in comparison to its counter party. Currency portfolio managers built their strategies based on the relative strength of one currency versus the other. Trading instruments include, but are not limited to; futures contracts, forward rate instruments, option instruments and over the counter spot transactions. The majority of currency transacting takes place on the Inter-bank level. 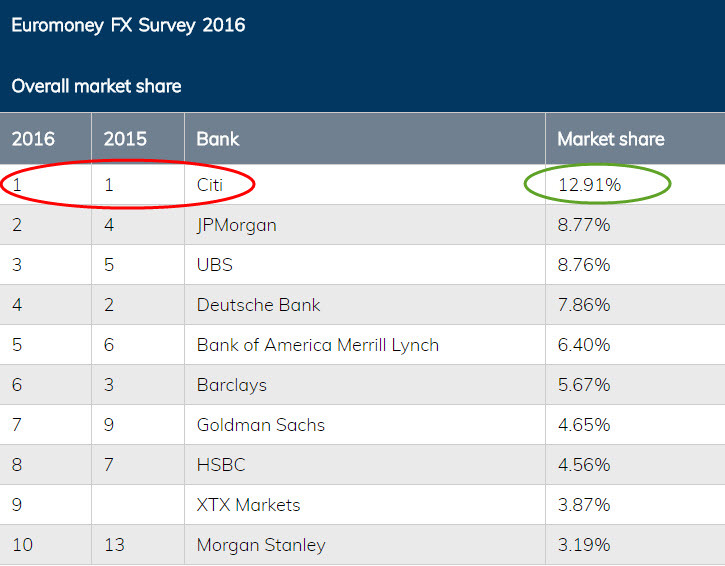 As we can see City has the largest Fx Market share. It is truly a Financial behemoth, dominating the Industry for the past nine years. Portfolio managers that concentrate on global macro strategies, typically invest in instruments that track the sovereign global debt rates. These instruments include: US Treasuries; European debt and derivatives as well as other Emerging Markets’ government debt. A big chunk of the government debt derivative trading takes place on regulated Futures Exchanges. Even though leverage within this particular Market is not as high in comparison to the currency markets, it is still substantial enough to attract Institutional flows and all sorts of Investment capital. You really need to read a lot, and monitor key economic factors and political developments. Watch global data releases regularly, keep track of speeches and announcements, especially the Central Banks representatives. On the other hand, the Macro speculator doesn’t need to be an economist. There are plenty of online resources and huge amount of macroeconomic media outlets that are doing the thinking for you. The problem nowadays is to restrict the amount of information rather than increase it in order to gain clarity. Macro trading seems to be complex, on the outside, but on the inside it comes down to learning the basics of trend following, because most of macro trading forex involves finding large trends to take advantage of. Case in point, long-term currency speculation is a form of Macro Trading. Since currency reflects country’s economic state, then when trading the EUR/USD pair, we actually trade the European and United States economies. Anytime a currency pair starts to trend, making a sustainable directional move, you can be absolutely certain that there is a single macro, or a chain of micro events that explains the movement. In other words, there can be one single macro, or many different micro events all causing capital inflows to establish the medium and long term trends. This is the Euro vs the US Dollar chart. In May the 8-th of 2014, in Brussels, Mario Draghi, President of the ECB made an introductory statement to the press conference. On that day he gave clear indication that the European Central Bank will start tweaking the monetary policy next month. As a result, the Markets reacted accordingly – selling the Euro. That was just the beginning of prolonged, systematic Euro sell in the coming months. Well, the actual selling started in June, after the European Central Bank unveiled an unprecedented package of measures, sealing the fate of the currency. We can clearly see how the Large Speculators, represented by the dark green line, started to sell the market by establishing net short positions in May of 2014. In fact, back then, some Fundamental analysts were expecting the Euro to reach parity with the Dollar by the end of 2016. The Low of 1.03675 was registered on December the 12-th of 2016. I’d say, this looks pretty close to parity to me. Now, for those of you who don’t know what the COT is, let’s pause here for a second and explore it in more details. The COT is a weekly report produced by the US regulator CFTC (Commodity Futures Trading Commission.) It gives you a snapshot of the Futures position in a number of underlying Markets; Commodities, Stocks, Currencies, etc. The report is released on Fridays and covers the activities for the very same week’s Tuesday. Few things to note about the report; the COT report is based on the Futures market and there is a lag to this report. Nonetheless, it could be a very useful tool for the long-term speculator. Essentially, it gives you a sneak peek at what the Big players are doing with their holdings; are they increasing or decreasing their positions, and in certain times that could be a very powerful information. Who are the participants, who are these Big players? These are regular corporate giants like Exxon Mobil, General Electric, Johnson and Johnson, Microsoft, Nike and the list goes on. In reality, the Commercials are considered to be the most “in-the-know” group. Let’s not forget, this group of participants makes their profits by producing and not speculating. Even though, there are consumers among this group, they are still classified as producers in the end. For example, if I own an Ethanol producing business, I need sugarcane to actually produce the fuel. So, I am a consumer to the sugarcane producer. Brazil is the biggest Ethanol producer in the world. Let’s say, there has been a huge drought in Brazil and most of the crops were destroyed. Now, the country needs to import the raw material from other nations like Mexico, United States, India. This is why typically the Commercials hedge their risk against the negative expectations. They are hedgers by nature. These are big Banks, Investment Funds and Financial Institutions. They are the ones taking the opposite side of the Commercials. Thus, they provide Liquidity to the whole marketplace. They make money by charging commissions on the orders they receive and assume the Commercial’s risk by opening speculative positions. These are smaller funds and smaller commercial hedgers as well as private speculators that do not qualify to be in the above mentioned groups. They do not have huge impact on the markets, however are still big enough to be registered and reported with CFTC. There are many ways to analyze the COT reports, but, we at davematias.com believe that for the most part the net position and actual changes in those positions over a recent two to three week periods are the most crucial numbers to monitor. We also believe that Divergences between the actual price-action and the positions of the Non-Commercials participants can signal possible trend reversals. Since the Non-Commercials provide the liquidity to the Commercials, it is correct to say that the Commercials (their net positions) initiate the reversals by drastically reducing, or increasing their holdings. 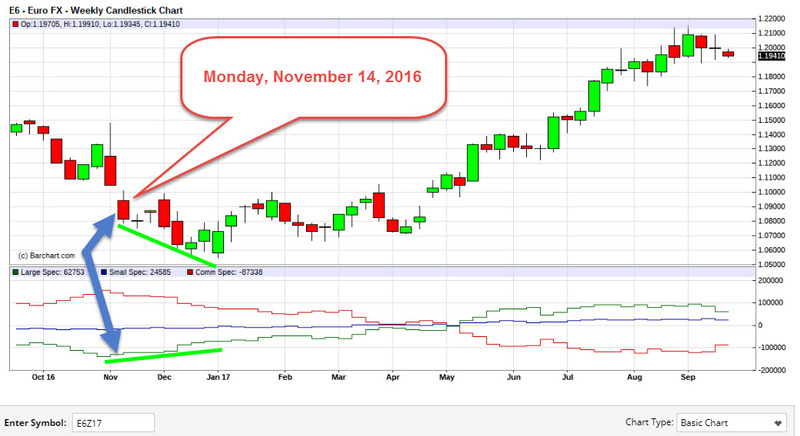 This is the Euro futures weekly chart and as we can see from the middle of November, 2016 the Commercial Speculators (red line) started to sell their positions. 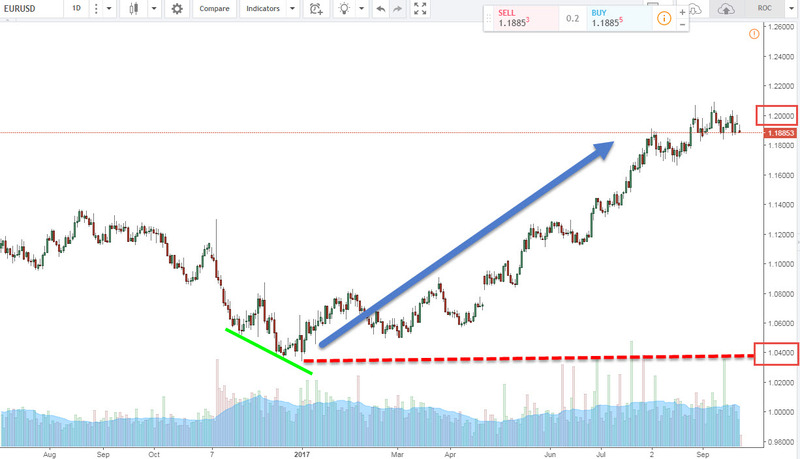 At the same time, the Large Specs (green line) started to buy the Euro. It is worth mentioning that, as a group, the Commercials will always be selling if they anticipate prices to rise, and always buying in anticipation of a price decline. For them buying and selling in the Markets is almost always associated with hedging their commercial risk. It is only until the January, 2017 the Euro started to show signs of possible strength. As the price was coming down for the past two months, the Commercials were net-sellers at the same time the Large Specs were net-buyers of the currency (see the Futures chart). This discrepancy between the actual price and the net positions of the Commercial Specs, or we can use the positions of the Large Specs; since they mirror each other, is called a Divergence. Divergence is actually an old concept which was observed and then introduced by Charles Dow, he even mentioned it in his Dow Tenets. Divergence can be viewed as a concept and as a strategy at the same time. What Dow witnessed had actually a very logical explanation: when the Dow Industrial was making new highs or new lows, the Transportation Index would also follow the suit, because; when industrial production is high then transportation is used more to deliver the goods. In times of an economic slowdown when production was falling, so was the use of transportation decreasing. The big “aha!” moment for the Dow was when he witnessed a divergence between the two. For example, when the Industrial Index made a new low and the Transportation would not follow. A discrepancy between the two was at hand signaling that a possible change in the market is forming. This gave the basis of divergence theory and was soon developed into a trading system on its own. 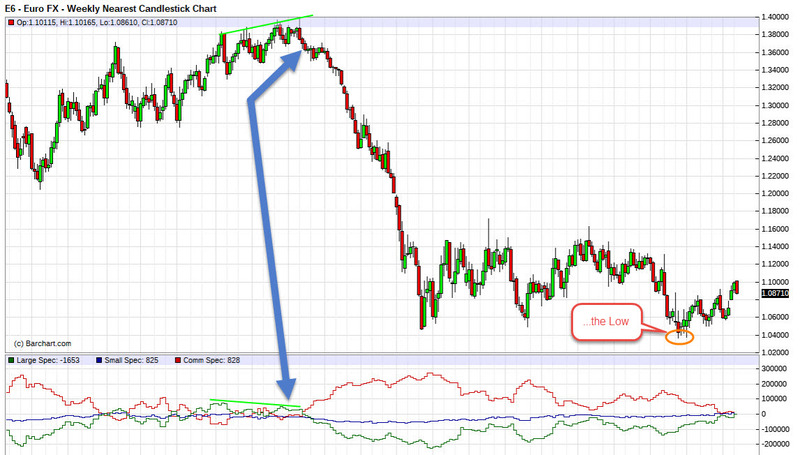 Spotting divergences in the Fx markets are usually done by comparing price to an oscillating indicator. When price makes a new high, the indicator also should make a fresh high. Or when prices make a new low, the oscillator should follow and make a new low. If you have a discrepancy between the price and the indicator a divergence is identified. Divergence trade setups could be detected on any time frames and are categorized into two main types. Regular (Classic) Divergence – used for reversals. Hidden Divergence – used for continuation signals. As you may have understood by now, it is easier to use the Large Specs positions to identify the Divergence phenomenon, when analyzing the COT indicator. It’s also important to mention that whether or not a specific COT group is net long or net short is not essential in analyzing the report. For instance, Commercials, as a group in the silver market, are mainly the producers and they hardly ever have been net long. They mostly hedge their product sales. Now, in the gold market, we have a different picture. The Commercial group is heavily represented by the manufacturers. They have to hedge their inventory by purchasing long contracts in the Futures market. I reiterate, again, you need to track the net change in positions from week to week, or several of the recent reports. Getting back to our EUR/USD sell example. 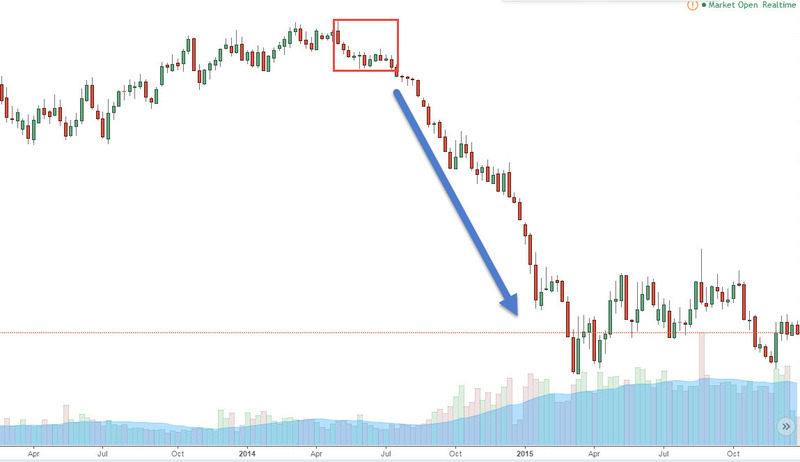 It was the Macro event; one single, deliberate event that caused the Euro’s down-sell. Macro speculators typically tend to manage their trades more like a trend follower rather than a swing or a day-trader. The main difference when trading the macro-events is, you’re essentially building a trading case; you gather the info, do the research, then initiate a trade. This requires keeping an eye on major news releases and global economic developments. It also requires longer holding periods and wider stop placements on your trading positions. When trading the micro-events (news trading), you can initiate a trade solely on one isolated event. For example an Unemployment release, or Consumer spending numbers, or GDP, Non-Farm payrolls and etc. In this case you may be in and out of the market the very same day. It is more of a day-trading strategy. One thing is true, Macro Trading is immune to HFT (High Frequency Trading) programs. It requires a long-term approach, longer holding periods and for this reason, the effect of algorithmic trading is going to be minimal to the Macro trader. Most retail traders don’t realize, there are plenty of opportunities on longer trading time frames, all you need is patience. In our opinion, Day trading strategies are going to become much harder to implement in coming years. Because of vast algorithmic program implementation by the Industry, these sudden bursts in volatility, or protective stop-hunts that we witness every day, will become a common and more frequent thing. Macro Trading offers an escape from all the daily noise. Have you ever heard news channels talking about how quant companies and high frequency trading are taking over the speculative world, and how if you do not learn it you’ll be left in the dust? The reality is, there has never been a computer program, that can successfully match Warren Buffett, George Sorros, Jesse Livermore, John Paulson, or any other successful macro trader’s skill set. These are the people that were able to identify the key Fundamental drivers and Macro developments way before the crowd. This is why, in my opinion, the macro trading edge will exist decades into the future. Macro trader analyzes the big picture and finds the dominant trends that could affect the marketplace place in the near future, and cause gradual Institutional money flow over a lengthy period of time. Macro trading forex is associated with studying the economy as well as market psychology. This style of trading is more appropriate to the medium and long-term speculators. The trader should constantly be in touch with global economic releases, central banks speeches and major political news announcements. Whenever economies begin to trend they typically take months and even years to complete their cycles.